Some people watch on Sunday for the game, and others (like me) watch it for the awesome commercials! This Sunday, February 3rd, you’ll want to tune into the game to check out the newest commercial for Disney’s Oz: The Great and Powerful. We have a special sneak peek of that commercial for you right here, but if you are just anxious as we are for every little tidbit you can get your hands on, tune in for the big game on Sunday for the full commercial! Immediately after the commercial airs, check out the Disney.com homepage; we received a tip that the witch will be taking it over! What does that mean?? I don’t know, exactly, but I’m excited (and terrified) to find out! 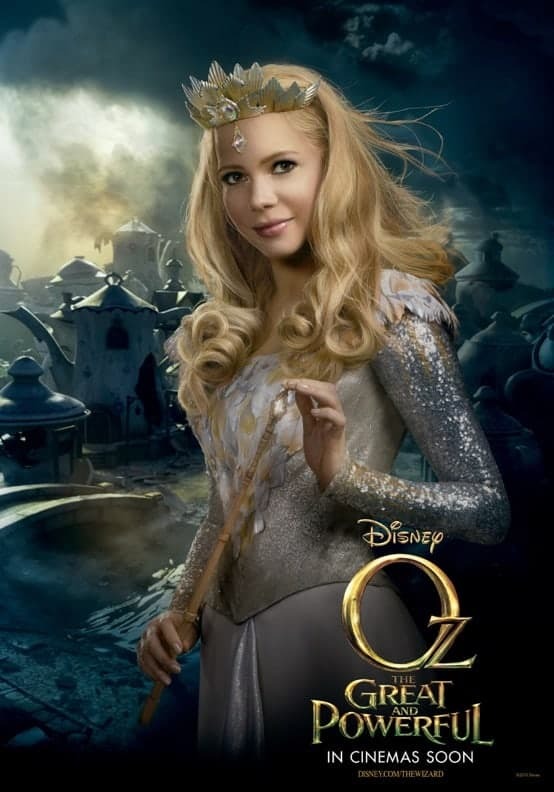 Oz: The Great and Powerful will be in theaters everywhere on March 8th, 2013. Get the latest news from Oz on Facebook and Twitter. Hmmm, I wonder if this new version will hold up against the old Judy Garland standard? I am very curious! I’m not sure it really can be compared to the original, since it is a prequel. I have high hopes for it, especially since I am not a really big fan of the 1939 version (mostly because I read the books) and prefer Disney’s Return to Oz (yes, electroshock therapy and all) since it’s darker. Oz is a pretty dark place in the books, and the 1939 film didn’t capture it that way. I’m hoping this new movie has drawn more from the original source material than the 1939 film. That’s not to say I don’t like the 1939 film version, because I do. I love the looks of the characters and the songs, as well as the fact that it brought one of my favorite worlds to life. This looks amazing! I can’t wait for it to come out. I am really looking forward to this movie! I’m super interested in this film. Director Sam Raimi (I hope I have that spelling right) is said to have a lush vision for the film. I too am a reader of ALL of the books. My grandmother was named Dorothy so we all had a special feeling for that character! I’m so excited to see this movie! The promotional posters look great. I like the commercials when they are tasteful and OK for children. The Ravens are going to DESTROY the 49ers!!!! I love the wizard of oz, it will be great to see a modern version. I’m glad this will be more about the wizard and less of a replacement of the classic story we all love! I’m not sure what to think of it yet, but I hope it won’t disappoint! I’m going to take my daughter to see this movie for her birthday. It looks really interesting. Hopefully it will live up to my expectations. I didn’t realize that Oz was a much darker place . This movie might be interesting as a prequel. SuperBowl commercials are lawyas interesting or fun.